SAN FRANCISCO (AP) — A jury on Thursday found a Mexican man not guilty in the killing of a woman on a San Francisco pier that touched off a national immigration debate two years ago, rejecting possible charges ranging from involuntary manslaughter to first-degree murder. Jose Ines Garcia Zarate had been deported five times and was wanted for a sixth deportation when Kate Steinle was fatally shot in the back while walking with her father on the pier. The shooting came during the presidential primary campaign in July 2015 and touched off a fierce debate over the country’s immigration policies in the presidential race the following year. Politics, however, did not come up in the month-long trial that featured extensive testimony from ballistics experts. Defense attorneys argued that Garcia Zarate was a hapless homeless man who killed Steinle in a freak accident. Prosecutors said he meant to shoot and kill her. Garcia Zarate did not deny shooting Steinle and said it was an accident. Jurors did find him guilty of being a felon in possession of a firearm, which Public Defender Jeff Adachi said carries a potential sentence of 16 months to three years. 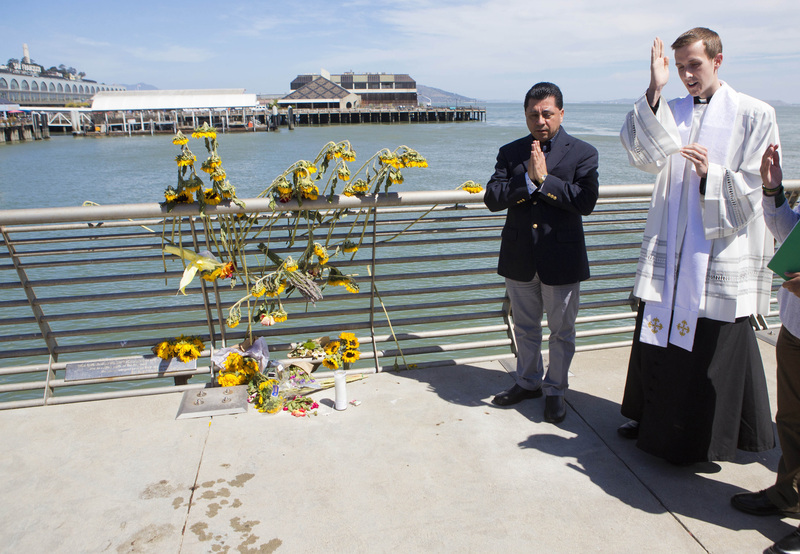 The bullet ricocheted on the pier’s concrete walkway and fatally struck Steinle in the back. President Donald Trump said during the presidential campaign that Steinle’s death was another reason the United States needed to build a wall on its southern border and tighten its immigration policies. Trump signed an executive order to withhold funding from sanctuary cities, but a federal judge recently blocked it in a lawsuit from two California counties, San Francisco and Santa Clara. The administration has appealed. Tags: jury verdict, Mexican, San Francisco, shooting. Bookmark the permalink.